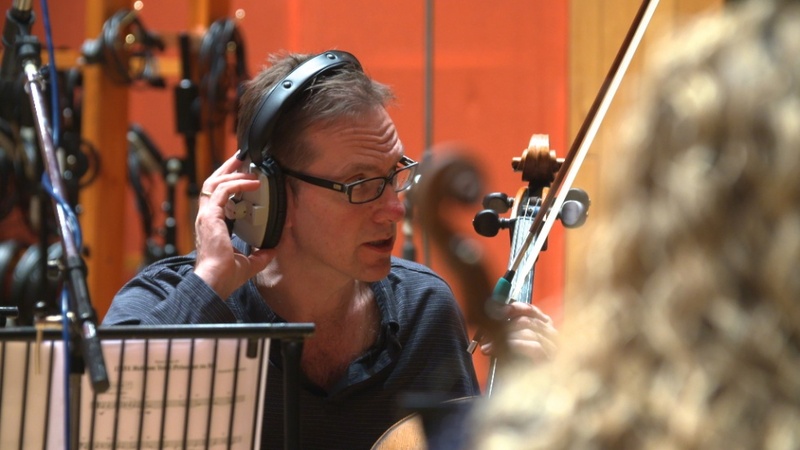 DAMIAN: Before we start to go into too much detail about Ripper Street and update the reader on what you’ve been up to since our last interview in 2014, I’d like to just spend some time talking about what it’s actually like to be a prolific composer for the screen. Can you talk me through an average day in the life of Dominik Scherrer please? DOMINIK: It’s great being creative all day long. But the pressure is huge as one has to be creative all day long, and come up with ideas, if inspiration strikes or not. After breakfast at home I cycle to my studio. It’s an easy ride, and it’s great to go past all the places in Shoreditch when it’s still very quiet, before all the hip crowds arrive. I aim to be at my studio around by 8.30am. The morning is the precious creative time for me, and I work interrupted only by a short coffee break until 2pm. This is when I compose music, write themes, write individual cues, i.e. scoring individual scenes. During that time I only answer the most urgent emails and phone calls. Dominik Scherrer’s studio in the Old Truman Brewery in Brick Lane. Then follows a brief lunch, maybe from a nearby Sushi place or Bagel shop perhaps with one of the other composers who are nearby. The afternoon is perhaps the more workmanlike time. This is when I do the revisions that directors and producers ask me to do, or I deal with newly edited versions of the picture and conform my existing cues to that. I’ll deal with all the emails regarding scheduling, organizing recording sessions, dealing with orchestration. I listen to music from Spotify when I do all the admin. Late afternoon I may do a two or three hour recording session with a soloist, for example a cellist. They come to my studio and this is often a time to experiment with how something is actually played, or finding the perfect key for a piece. Sometimes these little sessions help to put together demo versions of themes that I can then play to the producer or director. It’s more exciting for them to hear real recordings as opposed to digital mockups of sampled instruments. I finish around 7pm and we may all have drink at the legendary Spitalfields pub The Golden Heart, followed by a curry at Meraz Café. With Dominik’s favourite Spitalfields restaurateur Sam, of Meraz Cafe in Hanbury Street. Back at home, I may play piano for a bit and then go to bed thinking about the challenges of the next day and which pieces to write. Sometimes the ideas or solutions come in my dreams, or are magically solved overnight. 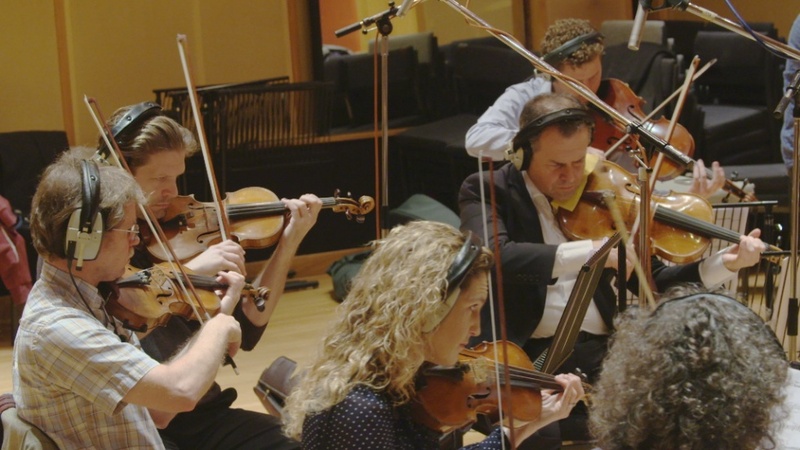 Other days will be more eventful to an outsider, with perhaps orchestral recording at other studios, travelling for meetings to Dublin, Manchester etc, or long morning meetings at Soho cutting rooms, with lots of coffee. DAMIAN: So, since our last interview then, your work on Ripper Street was recognized with he prestigious Ivor Novello Award for best television soundtrack which was also released as an album and you’ve worked on various new projects including two more BBC dramas, The Missing (2014 & 16) and One of Us (2016). Do you ever worry that you might become almost typecast as a composer and too closely associated with dark and gritty psychological thrillers? DOMINIK: I am not worried. The music to these shows is so radically different. While you could class these, including Ripper Street, as gritty crime, half the music deals with the emotional side, and follows the same approach as scoring a non-crime drama. Also, I have scored romantic comedies in the past, last year did a big Amazon series The Collection which was about a 1940s Paris fashion house, and had a kind of glam jazzy soundtrack, and am currently working on a Near Future and a supernatural drama. 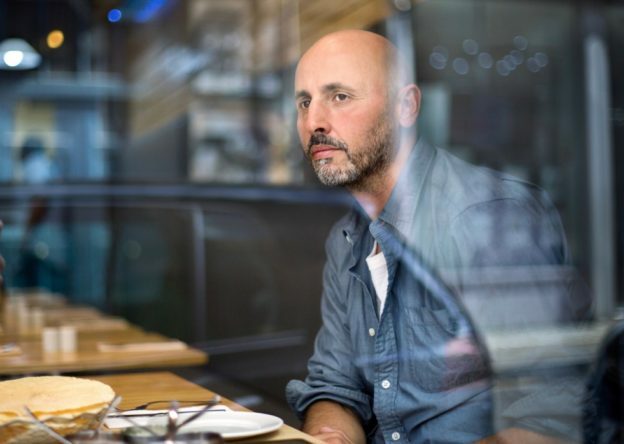 DAMIAN: I’ve had problems with my hearing for most of my life which ranges from significant conductive hearing loss in one ear to frequent bouts of tinnitus and that dreaded underwater sensation. It was with some interest then to experience your score to The Missing which seemed to capture all those aforementioned unpleasant sensations with such accuracy. What effect were you hoping to achieve by this? DOMINIK: In The Missing Series 1, it was important to convey the enormous sense of loss (of the child) that the parents experienced right from the start. I played around with very plain and high pitched glass harmonica sounds. They was not really meant to represent tinnitus but they signified a painful emptiness of the characters. DAMIAN: What can you tell me about your latest project Requiem? DOMINIK: It’s a six part Netflix / BBC drama directed by Mahalia Belo. The rest is secret! DAMIAN: I’d like to ask you some questions about the Ripper Street soundtrack album. Was it Silva Screen or yourself that decided on which tracks to include and their running order on the album? DOMINIK: It was largely my decision, with some input from Silva Screen. It’s a hard decision, and takes time to choose the right pieces from amongst the hundreds of cues. Sometimes we needed to combine or split up some pieces. DAMIAN: I hope you’ll forgive me for saying this but I could have lived without the two music hall source tracks (15: Eight Little Whores and 16: Blewett’s Pavilion of Varieties) or at least you could have included them as bonus tracks at the end. I wonder to what extent you’d agree that they detract from the overall mood and listening experience of the album? DOMINIK: I appreciate what you’re saying and maybe those tracks don’t fit in. For me though, music hall is an important component of the whole musical landscape of 1890s London, and stylistically, informed also the score itself, albeit perhaps in a more twisted manner. 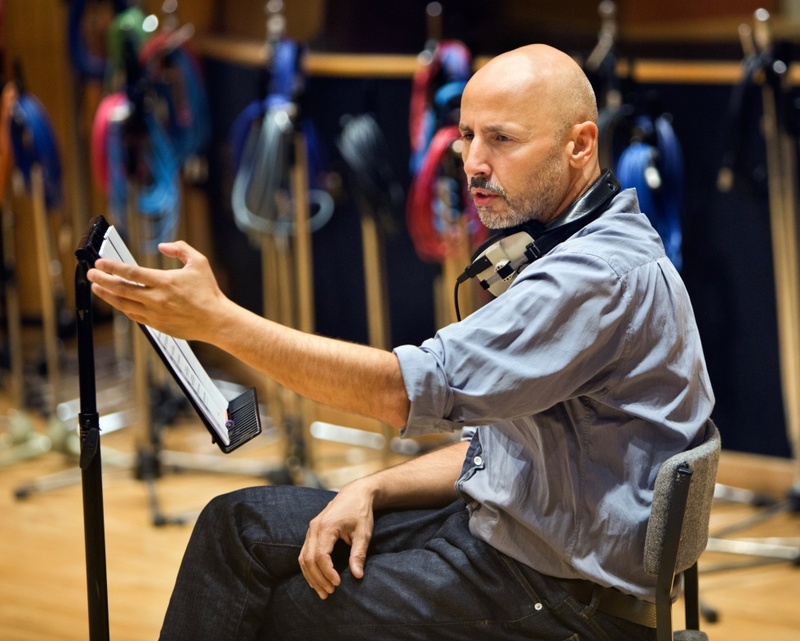 DAMIAN: It gives me a genuine thrill to blast out the main theme (Track 1) and some of the action cues and pieces such as The Toff (4 – often used over the end credits during the first two series), The Amorality of the Mob (11) and it’s also a treat to venture into Ennio Morricone/Spaghetti Western territory with tracks like Telegraph (8) and The Judge Stink (14). However, the sheer haunting and aching beauty of I Need Light (6), Become Man (12), Threads of Silk and Gold (17), The Beating of Her Wings (19), The Weight of One Man’s Heart (7) are the tracks that I’ve played the most. Can you talk me through the genesis and ideas behind one of these pieces? DOMINIK: The Beating of her Wings, as a theme, was written based on the scripts for series three, before I’d seen any of the picture. I wanted a theme that embodied Reid’s broodiness and at the same time his driven nature, be that in the drive to find his long lost daughter or the obsession with clearing Whitechapel of criminals. The theme starts with a lyrical cello solo, but in its lowest register. Normally you’d use the mid or higher cello register for such a lyrical tune, but I was determined to keep it broody and low. Morricone did that once, but I can’t remember on which score. After much cello broodiness a solo violin joins in, with a fluttery sequence of notes. It was very hard to play. Janice Graham, a top violinist and leader of the English National Opera Orchestra, nailed it perfectly. It develops with the same incessant energy that drives Reid. When they were cutting the The Beating of her Wings Episode (S3 E02), Andy Wilson, the director, told me that they started using this during the edit, and it fitted like a glove. In the end I did some changes to the theme, actually making it even longer, and matching the dynamics around the dialogue and the action. It was a satisfying experience. The script inspired the music, the music inspired the cut, the cut inspired the music again. DAMIAN: Some tracks such as The Weight of One Man’s Heart are often reused again in other episodes. Is this because the piece is so powerful or are you limited to how much new music you can write for each episode? DOMINIK: It’s important to have themes that run through the series. Sometimes the themes appear in different cloaks, i.e. orchestration, tempos, keys. At other times they may reappear as clearly recognisable reprises. I try and not attach themes to individual characters, as that can quickly become a bit Disney-like, and can create trouble if those characters cross paths. I try to link emotional states and underlying psychological themes, as if Whitechapel was a giant single organism, and the score traveled through its synapses. DAMIAN: What is your own personal favourite track from the album? 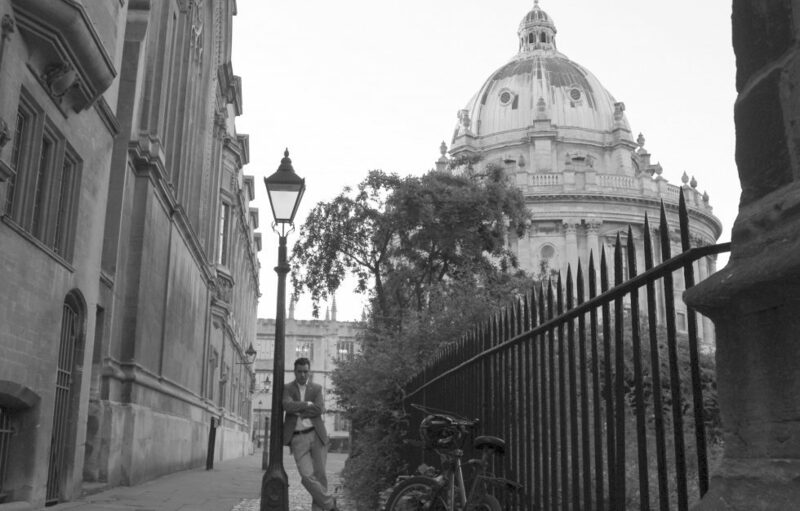 DOMINIK: Perhaps The Good of this City. We semi-improvised this live at my studio early on during scoring the first season. I felt, for the first time, we nailed the aching Whitechapel atmosphere in an interesting way. The use of the Hardanger fiddle, which is also featured on the title tune, helped to give it a unique sound. 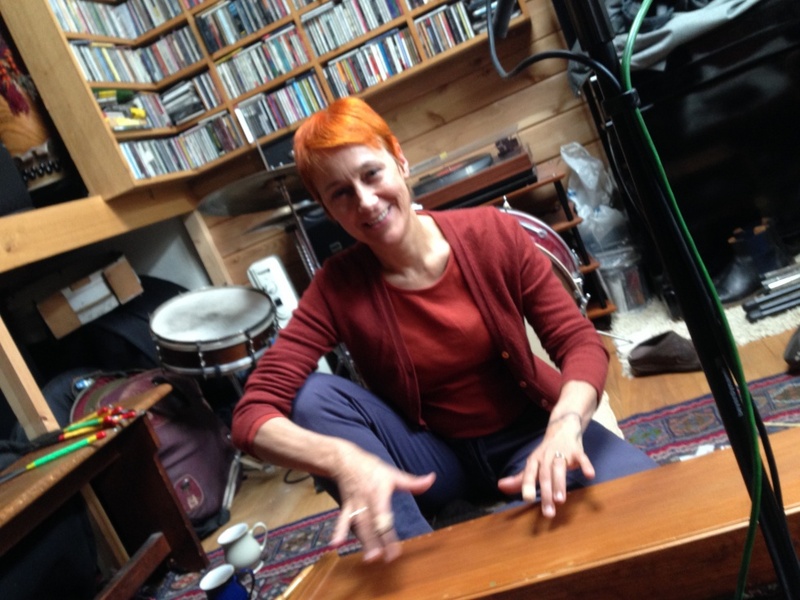 Multi-instrumentalist Sonia Slany playing the monochord for series 4. The monochord was one of the more unusual instruments introduced for the last two series. 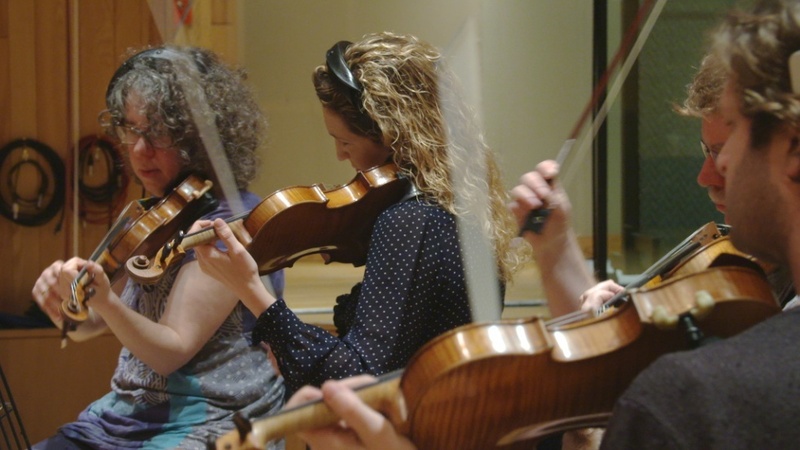 Slany also played the Hardanger fiddle of the title theme, as well viola, and old style gut-strung violin. DAMIAN: I’d like to be able to enjoy more of your score from the show but what are the chances of a second album? DOMINIK: There is certainly plenty of material that could be released. There has been talk of a second album, but nothing is confirmed. DAMIAN: Do you often go back to listen to and revisit your music after it has been recorded? 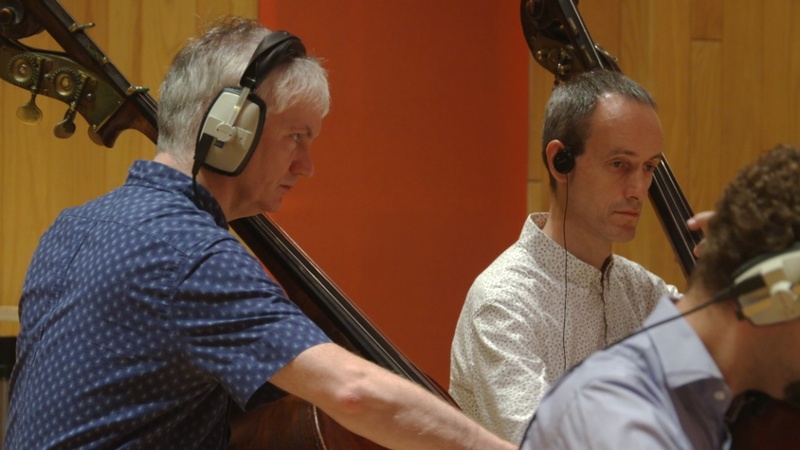 Recording series 5 at Angel Studios, Islington. 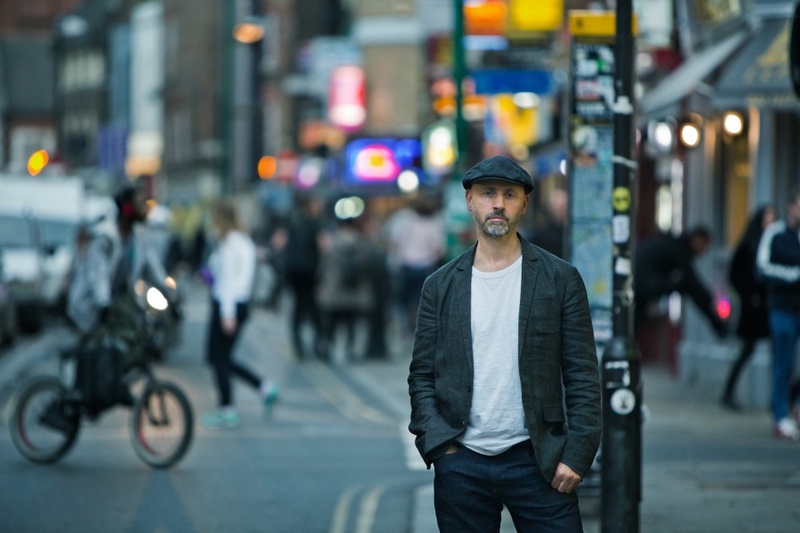 DAMIAN: I’ve often said that I believe your main theme music over the titles of Ripper Street represents a perfect marriage of sound and imagery which is possibly one of the most distinctive opening credit sequences of recent television. Why have you changed it for this fifth and final series? DOMINIK: Season five has an overall different feel. It started with us experimenting with a more aching, melancholic version of the theme tune for the third episode, as the existing one was slightly at odds with the feel of that particular episode. We liked the result and felt it was an appropriate feel for the entire series. It’s the same tune, with different tempo and orchestration, and it starts with a new counter melody, only to reveal the actual melody of the original theme a bit later. DAMIAN: In our previous interview I asked if you thought your music had a distinct sound and you replied “More than aspiring to have my own style I hope I can come up with something new every time. I am always trying out new ways of composition, orchestration, production… Saying that, sometimes my colleagues listen to my music and say ‘this is very Dominik!’ so maybe there is a style. Perhaps it’s a certain cheekiness or directness in the melodies”. 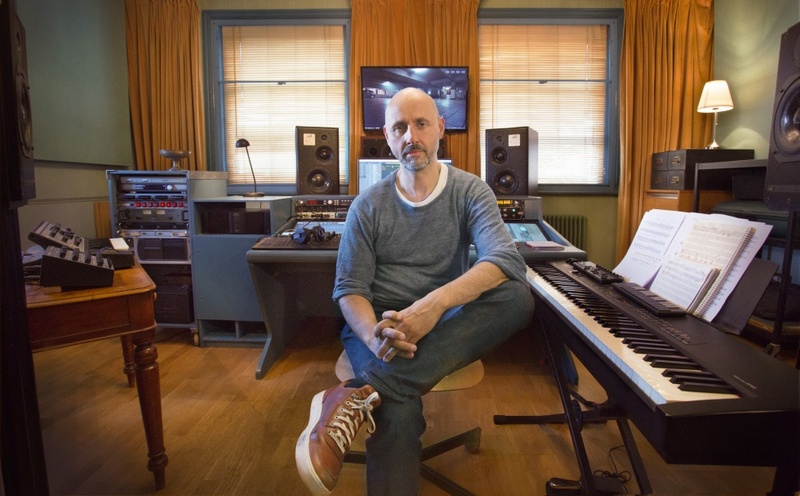 Well, when I spoke to composer Matthew Slater about his music for Endeavour, I asked which film and television composers had inspired him and he told me that in addition to Danny Elfman, Thomas Newman and James Newton Howard, “Dominik Scherrer also has a sound that’s completely different which I find intriguing and has influenced me a little”. High praise indeed but I wonder if fellow composers keep track of each other’s musical accomplishments and if there is perhaps ever a little rivalry or healthy competition? DOMINIK: It can sometimes be difficult to watch films and TV shows without listening out for the score. It can be very interesting to analyze other composers’ approaches. It’s too often that I watch something and think “This is too good, why didn’t I come up with this?” So yes, we all constantly challenge each other, which is great. In recent years, perhaps thanks to the internet and social networking, film composers have become a lot more organized and I am now regularly at events where we exchange ideas or just chat. DAMIAN: And we’ve talked about how you wanted your score to be non-classical and have an urban element as though it had emanated from the streets of Whitechapel but presented with a contemporary cinematic feel while also reflecting points from the period or locale either compositionally or orchestration-wise. Ripper Street has taken the audience from 1889 to 1899, how has your music reflected these passing years and how do you think you have grown as an artist? DOMINIK: I feel I am evolving from one day to another. Almost every step I take is slightly into the unknown, which keeps everything exciting too. The Ripper Street score definitely evolved over the five seasons. It’s not so much about the time span from 1889 to 1899 but how the story acquired an epic breadth, and ended on an almost metaphysical plane. The nineteenth century and the Victorian age come to an end. The music became broader too. The episodes became less about solving crime but more about the fates of the characters. I used bigger forces in the last season. 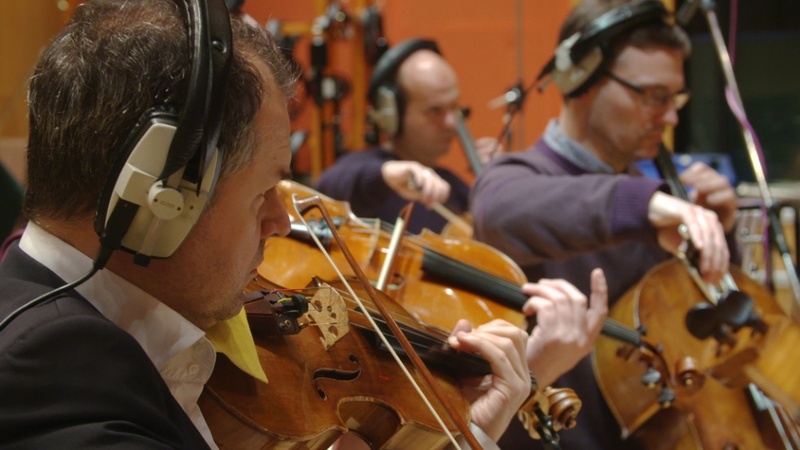 A string section of forty and a full male choir. 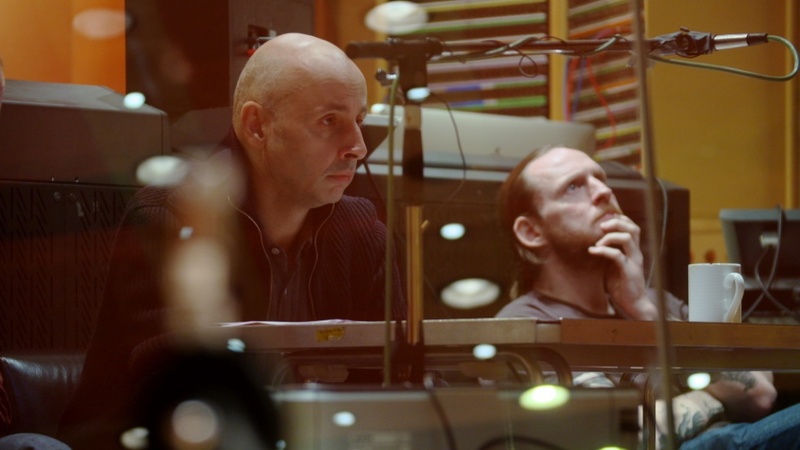 In the control room at Angel Studios, recording the first episode in series 4, with director Kieron Hawkes. 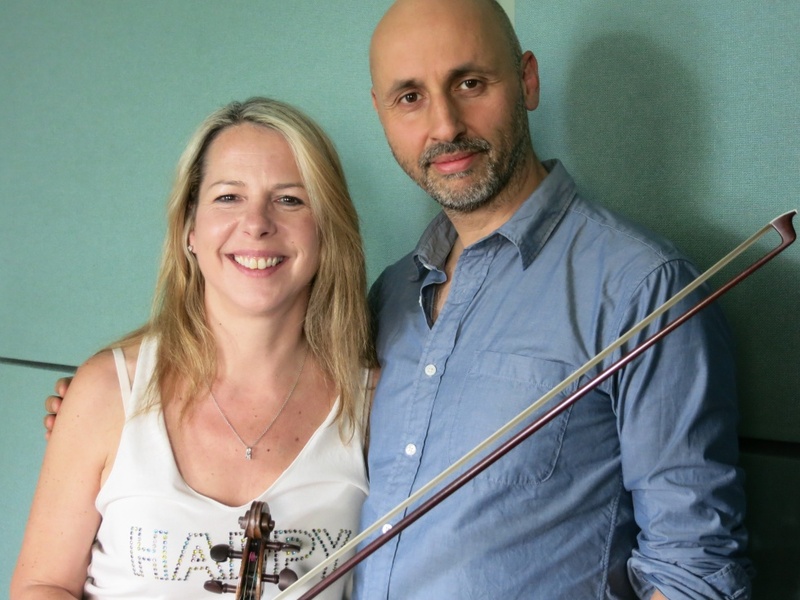 The very last Ripper Street recording session, with solo violinist Janice Graham, who played many of the violin solos throughout the series. DAMIAN: I wonder if you found it difficult to compose the music for the very last episode knowing that after working with these stories, locations and characters for five years, it was your last chance to revisit them? – was it hard to say goodbye? DOMINIK: Yes, scoring the last episode was emotional. Over the years, even for me, these characters have become almost real. But it also meant that four years of inspiring and enjoyable collaboration in the Ripper Street team was coming to an end. But also, the last episode had an unusual structure that made it a challenge to score, and it allowed me to musically go to completely new places. So it was not only about the melancholy but there was something forward thinking about it too. DAMIAN: Dominik, thank you very much indeed. DOMINIK: Thanks for all your interest in Ripper Street over the years Damian. It’s been a pleasure. This entry was posted in Ripper Street and tagged Damian Barcroft, Damian M. Barcroft, Damian Michael Barcroft, Dominik Scherrer, Dominik Scherrer composer, Dominik Scherrer Ripper Street composer, Ripper Street, Ripper Street 5, Ripper Street Album, Ripper Street CD, Ripper Street CD Soundtrack Ablum, Ripper Street Music Score, Ripper Street Soundtrack on July 22, 2017 by Damian Michael Barcroft.